I chose CIT because I had heard from past students that CIT has very interactive classes and supportive teachers, which I now know is very true. I have so many teachers who are my friends; we still talk today even after I’ve finished my studies. WHY DID I CHOOSE CIT? 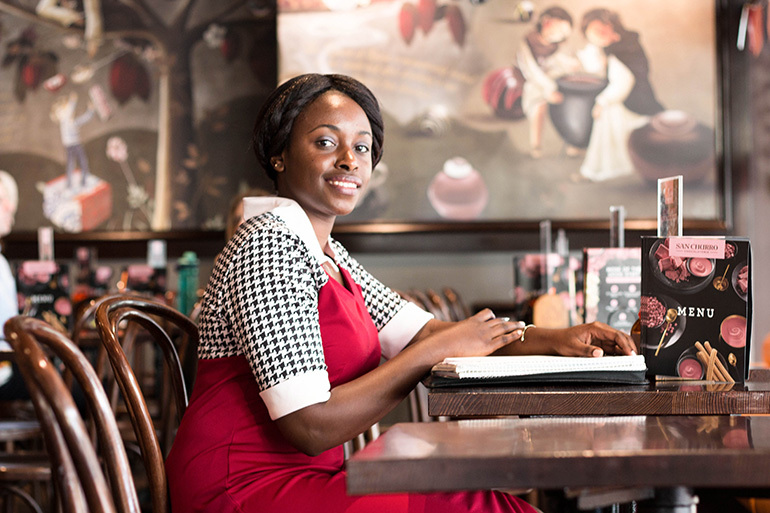 In Kenya, my home country, I studied to become a Certified Public Accountant (CPA), so when I came to Australia in 2015 I wanted to continue with my accounting career. I chose CIT because I had heard from past students that CIT has very interactive classes and supportive teachers, which I now know is very true. I have so many teachers who are my friends; we still talk today even after I’ve finished my studies. I like CIT because it’s like a family, the classes are practical, the teachers are supportive and there are smaller classes compared to university. I studied the Advanced Diploma of Accounting at CIT and finished last year in December. I applied to continue my studies at the University of Canberra (UC) and received my offer letter for the Bachelor of Accounting. 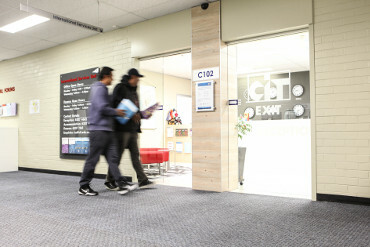 CIT has a study pathway from the Advanced Diploma into UC’s Bachelor that gives you 1.5 years credit. A friend who studied the bachelor at UC said she seemed to find it much more difficult compared to the students who had come from CIT. She said that CIT students are very prepared for the bachelor. I got a job at the Australian Institute of Building in January this year as an Accounts Officer/Bookkeeper. I’m grateful I got that job because it’s not easy to get into the industry without experience. My teacher helped by passing my resume onto other teachers and letting me know about a bookkeeping job advertised on the CIT Student Association (CITSA) website. I started on a three-month contract but it has been extended and I’m still working there! The accounting software that I use at my workplace is MYOB, and at CIT we had a lot of focus on that software. Before I started my job I was very nervous, but the studies and assignments at CIT taught me so much and set me up to do well in my job. I definitely felt work-ready thanks to CIT. I like living in Canberra; it is relaxing and the people are very friendly. I have so many friends, and I also have a few relatives here, including my partner and brother-in-laws. They are the ones who first accommodated us here. Canberra is a good place, and Australians are really nice people. I really enjoyed studying on the CIT Reid campus. Being located near the city was great as my CIT friends and I would walk into the city from the campus and get coffee or just walk through the shops and spend time together. I’ve made some really good friends from CIT. When I finish my degree I want to apply for higher level jobs and keep challenging myself. I’m not sure if I’ll stay in Australia or return home, but I will keep working towards a successful career. I would recommend CIT 110%. The teachers are friendly and they support you, not just in your studies but also in your goals and career. Renee Brand, a CIT teacher who won teacher of the year two years in a row, really helped me consider my choices at university and made me think about where I wanted to go with my career. I felt so supported at CIT; it was like a family. Page Updated: Thursday, December 6, 2018 | © 2019 Canberra Institute of Technology. In the spirit of reconciliation, we acknowledge that we are on Ngunnawal land.